Here is a thing I learned from J.B. Rainsberger at XP 2012 in May 2012. I used it in the past months quite extensively for debugging communication based upon the Satir Communication model. While doing some research for this blog entry, I discovered that some others have also written about the topic. I especially liked Dale Emery’s Untangling Communication which seems to go a bit deeper than my understanding of the topic. Anyways, here’s my write-up which might give a different perspective. Recently I restarted the Wandering Book. 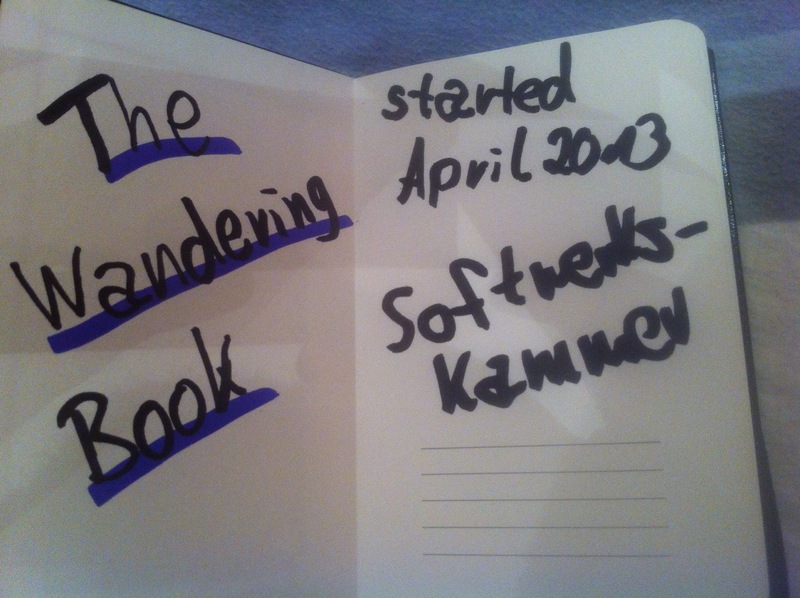 The Wandering Book is a tiny book passed on from Craftsman to Craftsman, fromCmmunity to Community intended to collect the Zeitgeist of Software Craftsmanship. I deliberately decided to start passing this to the German Softwerkskammer user grups. The idea is to collect the different notions, sort of a guest book of all the local events happening all over Germany. Since the first book seems lost, I decided to put a disclaimer in it at the beginning. Here is the initial entry I made. Andrii Dzynia sent me this report from the third Ukrainian Testing Dojo. This is the English language report for this Russian original. I still think they are doing awesome stuff over there in the Ucraine.